Customer service is key in today’s business world. Customers these days have the power to do their own research to compare products and services online, so companies need a way to stand out beyond this. How an organization reacts to customers and how they build their customer relationships go a long way in leading to a buyer choosing you over the competition. By improving upon your customer service, you can improve your customer acquisition and retention, and ultimately your bottom line. One way you can do so is through cloud communications. Customers require prompt communications to feel as though they are valued. Cloud communications systems improve the availability of customer service representatives. A consolidated system is able to route communications to available CSRs as needed. Customers don’t need to wait and can connect with support through whichever channels they desire. With a unified cloud communications system, agents have access to valuable customer information. Agents will be able to see all of the information they need to provide continuity of service. Customers can become frustrated if they connect with agents and need to explain themselves each time. A solid cloud-based platform will collect information during every interaction with a customer to ensure that agents get all of the relevant information regarding their connections. A cloud communications solution doesn’t just collect notes. It also catalogs detailed customer information, such as when they have contacted the business, how they’ve rated their customer service in the past, and whether their issues have been resolved. Prior purchases will be listed and current equipment can be discovered, so agents know which items the customer may be inquiring about. All of this combines to ensure that the CSR has the most relevant information to improve the customer experience. Many customers are interested in connecting with customer service on their own terms. They may want to connect through an instant messenger service, through email, or through a trouble-ticket. Depending on how urgent their communication is, they may need an answer right away or they may want an answer when it’s convenient for them. Cloud-based solutions provide multichannel communication, consolidating multiple methods of communication into a single one. Giving customers multiple channels through which to communicate will increase the likelihood that they will be able to get the answers they need. Waiting for an answer is often the most frustrating issue that a customer can experience. When a business goes down, customers can’t get what they need. Some customers won’t wait; they’ll just move on to a competitor. These customers can be very difficult to recapture. If they are satisfied with the competition and are getting solid customer service through the competition, they may not see a reason to immediately switch back. Improved business continuity services can help. Business continuity ensures that a company has as much uptime as possible. Business continuity means improving the reliability of an organization’s infrastructure—something that can often be done through cloud communication services. 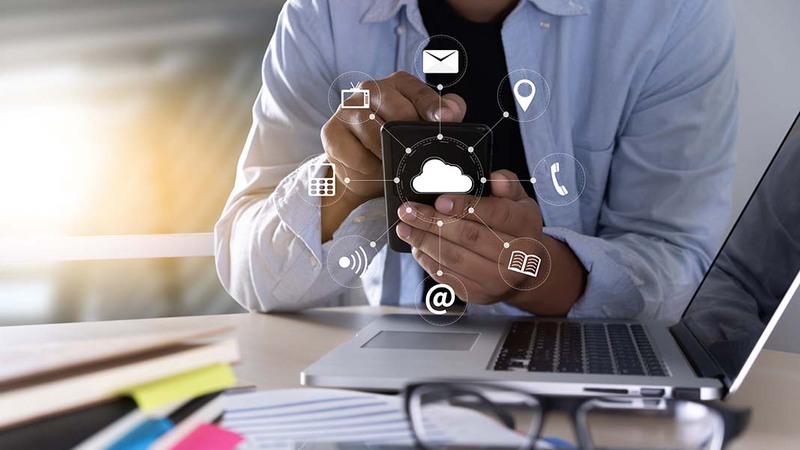 Cloud communication services tend to be far more reliable than alternatives, ensuring that customers will always be able to contact a company when they need to. Many large companies are transitioning to cloud communications for all of the reasons listed above. Google has moved into the cloud-based contact center market, bringing in artificial intelligence technologies that can be used for self-servicing. Self-service is often desired by customers today, as they want to be able to get the answers they need as quickly as possible, without having to unnecessarily interact with customer service. Artificial intelligence is being used to improve call centers and contact centers in a number of ways, by reducing wait times and using intelligent systems to transcribe voice-to-text. Call systems can intelligently route calls to the most effective support personnel, in addition to load balancing calls appropriately so that wait times are predictable and that customers are all dealt with quickly. All of this is an improvement over traditional communications solutions, as it can leverage the advanced resources and technology of a cloud-based system. In the future, it’s likely that cloud communications will become standard for customer service platforms. Customer service platforms need all of the benefits that cloud communications can offer: scalability, flexibility, customization, and affordability. Through cloud services, customer service can be delivered quickly and reliably, with less downtime and more options. Companies moving towards cloud services will be able to reduce their overall costs while maintaining a higher level of customer service.